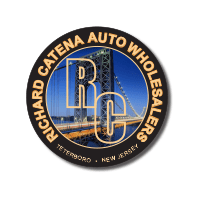 While there may be many places to find a collection of used Mercedes-Benz models in New Jersey, nowhere can quite compare to the selection and level of expertise that we have here at Richard Catena Auto Wholesalers. We specialize in providing our customers with a huge assortment of gently used Mercedes-Benz models, as well as the knowledge and comprehensive buying experience that they need in order to truly find the model that’s right for them. Rather than a new car dealership that happens to also have some used vehicles laying around, we only sell the highest quality used vehicles, which is why we’re able to offer such a massive collection of pre-owned Mercedes-Benz models right here in Teterboro, NJ! We offer a large assortment of gently used Mercedes-Benz coupes, sedans, convertibles, luxury SUVs, and more for our customers to choose from, making it easy and convenient to find exactly what you’re looking for all in one location. You can have complete confidence in every pre-owned Mercedes-Benz model you see in our showroom because every model must first go through an intensive inspection process to ensure that everything is working to our highest standards. If we deem any component unfit, we’ll either recondition or replace it to ensure that the vehicle is going to continue to serve our customers well far into the future. There are many reasons why you should buy your used Mercedes-Benz vehicle here at Richard Catena Auto Wholesalers, but the best way to truly experience why drivers from Teterboro, Newark, North Bergen, Hackensack, and Passaic tend to choose us is to come see our entire selection of used Mercedes-Benz models in person today! 0 comment(s) so far on Looking to Buy a Used Mercedes-Benz Model? Find it Here Within Our Massive Selection at Richard Catena Auto Wholesalers!